Love Your Cat? 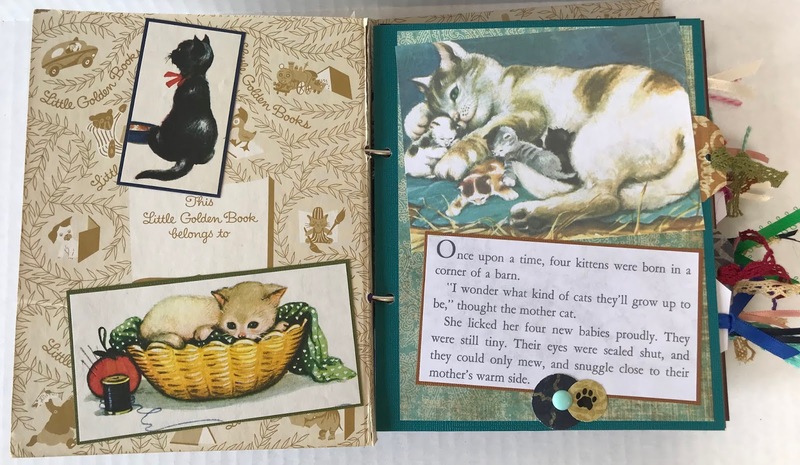 You'll Love This Little Golden Book Album! It is absolutely thrilling for me to share this album with you today. It's been a labor of love (even though I'm a dog person) that took several days to complete. In case you aren't familiar with this Little Golden Book, it's the story of a mama farm cat who has a litter of four kittens. Each one has to find out which kind of cat it's going to be when it grows up. When I tear down a book, I save all of the original illustrations and turn them into something new and different. In this album, for example, I only tack down three of the four sides of each picture so a tag can be slipped underneath. 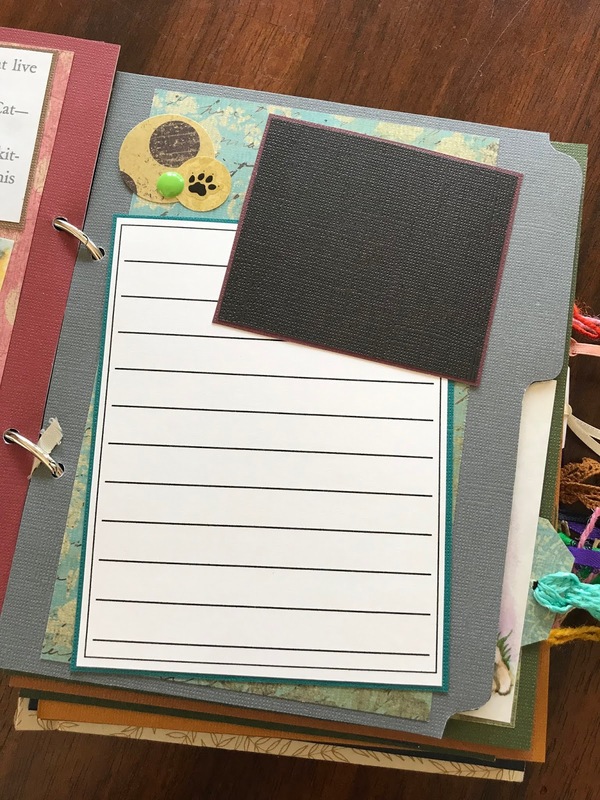 Here, the brown tag slides between the illustration and the page like an envelope. 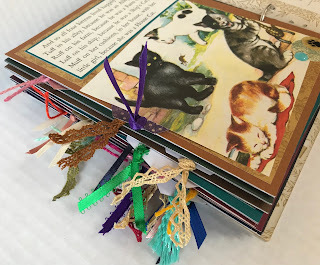 The fibers on the tags then stick out the side for a beautiful rainbow of colors and textures. 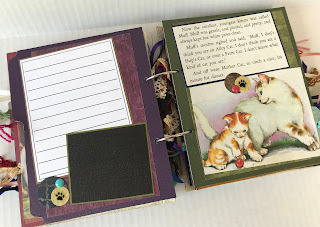 The embellishments are all punched from coordinating papers, and there is a paw print on every page. They're accented with tiny acrylic dots. Perhaps my favorite pages of the album are the ones without graphics. In both the front and the back of the album, there are pages that fold out. They have journal blocks and photo boxes for the loving cat owner to add pictures and journaling about their own cat. 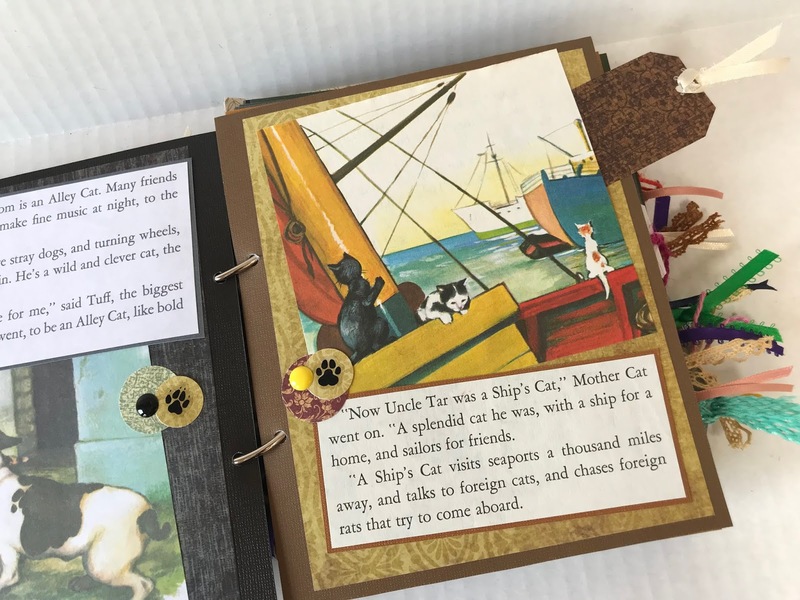 This makes them a part of the story and creates a personalized gift. 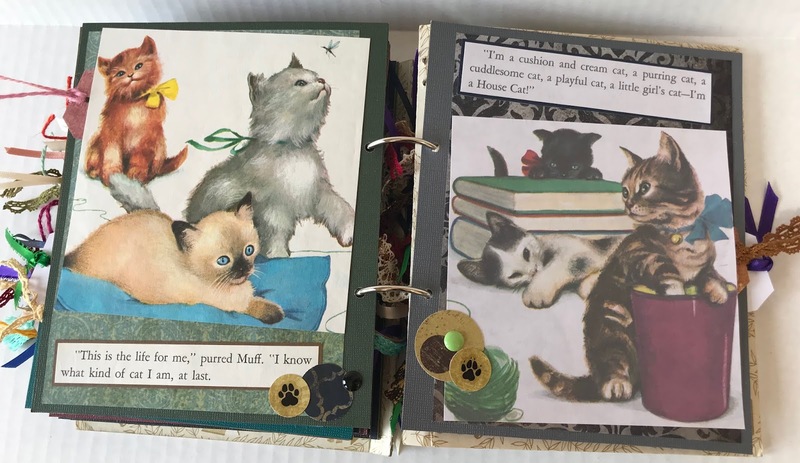 There are also two pages cut like file folders. Both sides have journal blocks, photo mats and paw print accents. 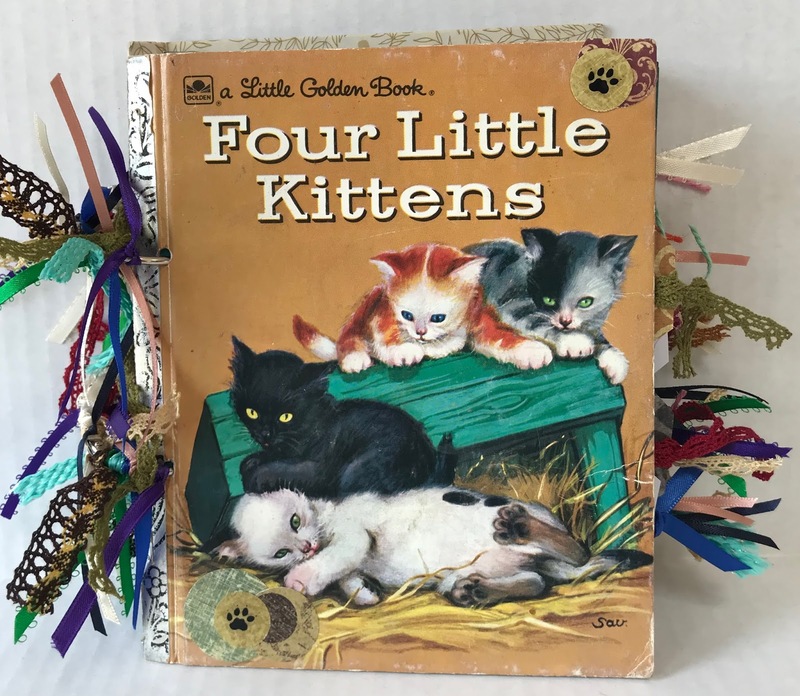 To see this album and our other upcycled Little Golden Books, please visit our Etsy shop. If there's another children's book you'd like us to turn into a one-of-a-kind gift, let us know today - we'd love to work on it with you!